The timeless charm of wood joins the purest design lines and is enhanced with all the comforts provided by technology. This is how Pratic’s wooden pergolas are created, which are included among the most elegant and natural outdoor solutions to experience. A refined collection that includes two exclusive models designed for those who love the essentiality and warmth of materials: Tecnic Wood and Tecnic Wood Plus. The noble element they share, wood, connects with the surrounding environment offering simple allure together with sophistication. Thus, providing new spaces from where you can enjoy the landscape in absolute harmony with the surrounding nature. The Nordic pine laminated structure of the wooden pergolas, processed with specific treatments to keep its beauty unaltered over time, comes complete with the Tecnic retractable cover system for ideal protection at all times. 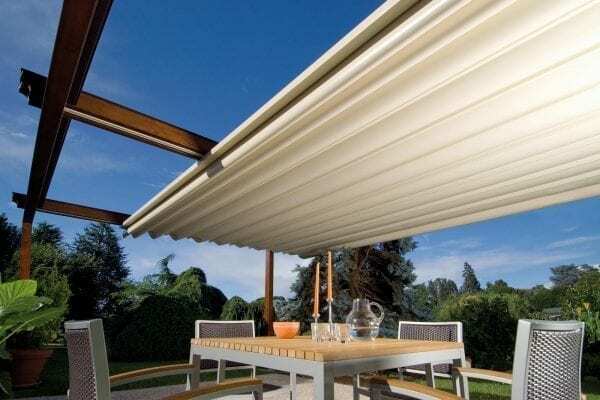 This cover can be made of flame retardant, shading, waterproof and highly stable PVC fabric, – or with top-quality fabrics with exclusive shading functions. To enjoy cooler or dimly lit evenings to the fullest, Pratic wooden pergolas are equipped with perimeter enclosures and LED lighting directly applicable to the cover. The first can be obtained with vertical awnings that are more or less shaded depending on the degree of privacy you wish to create, or have windows that protect from the wind without removing visibility; the second are elegant and balanced lighting solutions allowing you to continue sharing moments during the evening. 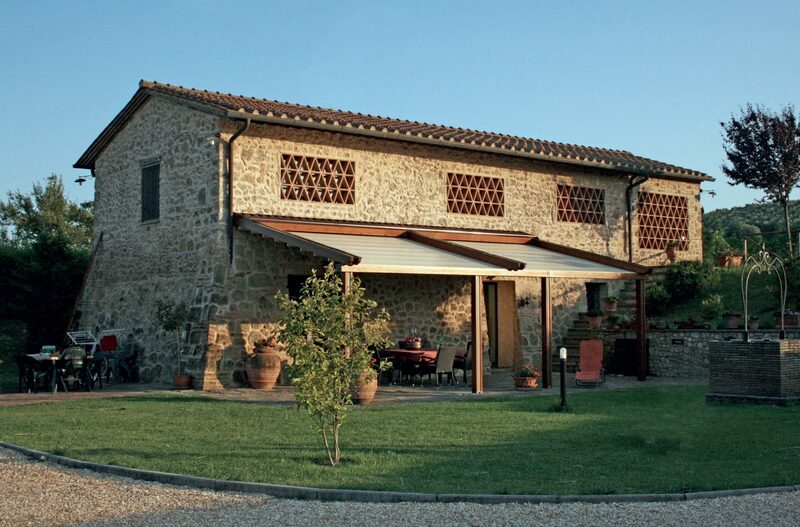 Practicality is guaranteed by quality choices, starting with the automation that regulates the movement of all the wooden pergola components, such as the awning or the retractable canvas that slide smoothly and lightly. 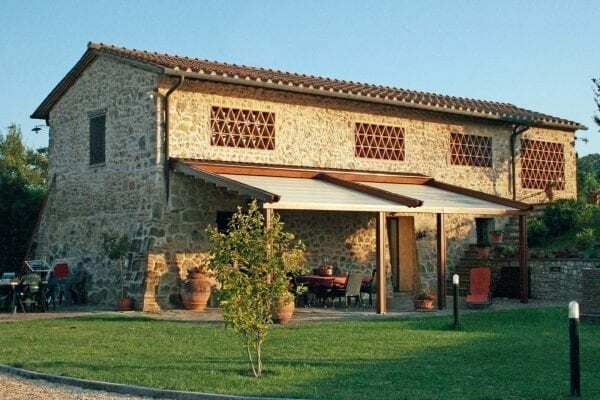 Following the same principle of use and design simplicity, the gutter and downpipe have been designed to remain inside the structure, so the rain does not interfere with your comfort beneath the pergola. The stainless-steel components are also ingeniously concealed, providing an extraordinary aesthetic result. Elegance combined with flexibility, for outdoor space availability: Pratic wooden pergolas are always custom designed and can be chosen in the self-supporting or wall-mounted version. In addition, the Wood Plus version offers an aluminium downpipe located in the middle of the posts to optimize water outflow, while being an accentuating aesthetic element at the same time.